A bike ride from Glacier to New Orleans? Yeah, we did that. National Bike Month is winding to a close, but biking season in Montana is just getting started, and our Wellness/Montana Bikes team is off to a stellar start as part of the National Bike Challenge. Thus far, our 25 riders have logged 2249 miles since the challenge started at the beginning of May. 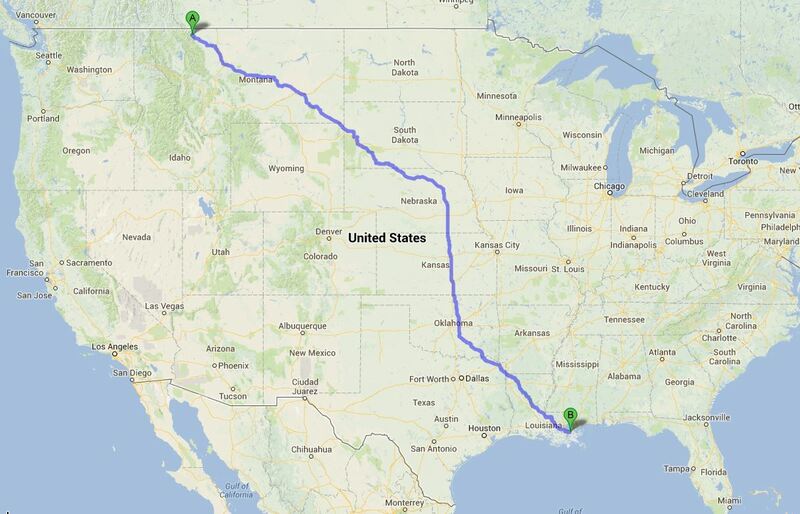 Collectively, that would be a ride from Glacier NP to New Orleans! (By the way, we should really do that, it would be a blast!). This just looks like a good time. Our team is currently leading all Montana teams (by a slight margin), and is ranked 159th nationally out of nearly 2000 participating teams. WooHoo! The Challenge lasts through September 30th, so we still have many miles to ride, and room for many more on our team! If you’d like to join the #1 Team in Montana, just go to www.nationalbikechallenge.org, sign-up (it’s free), join our team ‘Montana University System Wellness’, and start logging your miles. For you readers that are on the Team—keep up the great work! You’re amazing! Challenge of the Month: June!